Ajax starlet Matthijs de Ligt has attracted humongous interest from all across the continent since the start of the season. His performances have already seen him get linked with multiple European juggernauts, out of which Barcelona are the current rumoured frontrunners in the race to secure his services. De Ligt dropped a stunning display against Real Madrid in the Champions League round of 16, playing a major role in helping his side pull off a major upset and knock the current holders out of the competition. 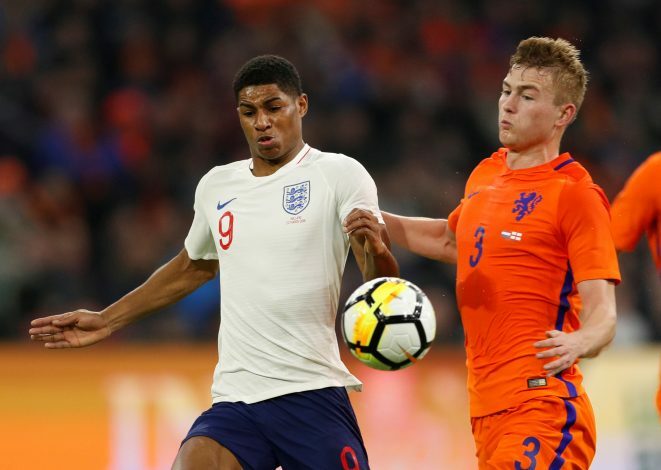 Interest in the 19-year-old has since spiked drastically, and Ajax are set to be bombarded with humongous offers for the defender once the transfer window reopens in the summer. Amid the speculation surrounding the Dutch international’s future, former Manchester United striker Dimitar Berbatov has weighed in on the situation. The Bulgarian believes that the Red Devils, who remain desperate for a centre-back signing, may have increased chances of actually landing De Ligt, thanks to their arch-rivals Liverpool‘s star defender, Virgil van Dijk. Speaking to Betfair in a recent interview, Berbatov opined: “One player I would love to see at Old Trafford is Ajax defender, Matthijs de Ligt, although I know every big club in Europe is after him. “I watched him play against Real Madrid and he looks the real deal – so confident and assured for a player of his age.